Formed in 2009, London-based studio Big Pixel Studios started life with just three employees, all veterans of the games industry. The new studio had no backing from external investors, but rather was supported by the pockets of its own founders and the work it took on. Often taking up a work-for-hire capacity, as well as an array of original projects, the team’s portfolio includes games such as Land-a-Panda, Meow Meow Happy Fight and Mega Coin Squad. It's also previously developed browser games utilising the Marvel IP. In recent years the studio has been working on one of the hottest television IPs around in Rick and Morty. After being approached by Adult Swim, It started out with the basic Rick and Morty: Jerry’s Game, a mobile title that tasked players simply with popping balloons. The game wouldn’t get more challenging or faster. As Big Pixel VP David Burpitt puts it, “it’s just how long is your concentration span essentially”. As fans of the show could attest, it’s very Jerry. 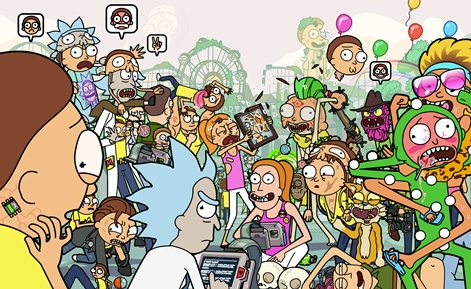 According to Burpitt, the game racked up a number of downloads, showing there was a big audience for games based around the Rick and Morty IP. It was at this point, Adult Swim Games asked them to pitch a “proper game”. 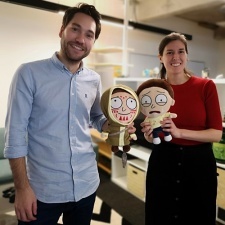 The result was Pocket Mortys, which launched in 2016. The title is a pokemon-like RPG, based on a premise where Ricks catch and chip Mortys and fight them against other Mortys. Originally started with 70 different Morty types at launch, there are now 315 and counting. 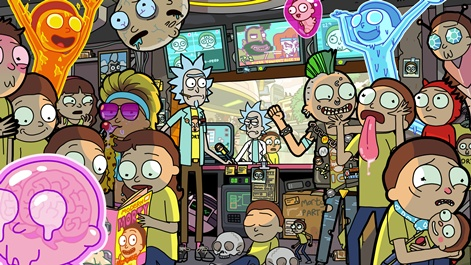 “We've always wanted to make a JRPG-style game like Pocket Mortys, so it felt like a perfect fit to get that genre and mix it with the Rick and Morty IP,” Burpitt tells PocketGamer.biz. “So we pitched that to the creators and Adult Swim Games and they really liked it. They basically said go ahead and make it. The team stayed small following the launch, despite the game peaking at 37th in the US top grossing App Store game chart in 2016. We've always wanted to make a JRPG-style game like Pocket Mortys. In fact, it wasn’t until the start of this year that the studio started stepping up its recruitment drive. At that point, it was at a team of four full-timers - the developer hired a server engineer to help implement a multiplayer mode for Pocket Mortys. As the studio started looking to the future - with ambitions for new, bigger games - in February 2018 Turner Broadcasting and Adult Swim Games made the decision to acquire the developer for an undisclosed fee. “We'd been working with them for probably three years up until that point and we had a very good relationship, “says Burpitt. “Although we were essentially a work-for-hire studio working with Adult Swim Games, they would give us a lot of support. He continues: “The benefit is that, as a small company, pre-acquisition we didn't have any angel investors, it was all the founders that set it up. So although the studio was financially stable and successful, going from four people to now nearing 20 was not something we could undertake without going to investors, backers and things like that. “We wanted to do that growth and we also wanted to carry on with Rick and Morty because we're all fans of it. We love Pocket Mortys and we want to carry on working in that universe, so it just made sense that we would be closer together. The trust was already there. “Instead of going into new negotiations with a contract that could last anywhere between two and five or 10 years for a partnership, why not Turner acquire Big Pixel? Essentially it's a better use of that fund. We can now grow the studio, we've got financial stability, we know they're not going anywhere and the show has been renewed for another 70 episodes. The studio - whose team is now in its third office in London - now stands at around 20 staff, with current plans to grow to as much as 30 by the end of 2019. It’ll be working exclusively on Rick and Morty IP, with plans afoot for an ambitious new game, though there’s no release date as yet for it. “We’ve got a long road ahead of us,” says Burpitt. With such a large recruitment drive, long gone are the early days of the founders working at home in their pyjamas. The studio culture has inevitably shifted and continues to do so each time a new person joins, says Burpitt. I think it's quite easy for some people to try and just hire the same person that they are. “I think it comes back to that fact that we want to hire people that are different to what we've already got - different interests, different backgrounds - so that does change the culture,” he states. Lead artist Steffie Garcia says that as the company grows, Big Pixel has been giving keen thought to building that diverse team. Currently out of its 20 staff, six are women. Garcia says that to ensure more applicants for its roles are women, Big Pixel has actively been working with the industry, hosting mixers at its offices and attending Women in Games conferences. Both Garcia and Burpitt admit the team still has a ways to go to be as diverse as it wants, but it seems to be on the right track. “I think it's quite easy for some people to try and just hire the same person that they are. As in like the same games, like the same stuff,” says Garcia. “And sometimes I think that can accidentally fall into being the same gender if you're trying to just hire yourself again. “So we tend to try and keep an open mind, maybe some of the people might not actually be from a games background, or maybe they're just starting out. You don't always have to hire very senior people. I think generally sometimes you can fall into that trap, so I think that's a very important part. Big Pixel Studios' Dave Burpitt will be a speaker at the conference.